Are you an explorer? Do you enjoy exploring the hidden valleys and dungeons of Minecraft, but have found your adventures getting a bit dull and repetitive lately? Don’t lose your adventurous spirit, because now there is Chocolatin’s Better Dungeon mod for Minecraft! 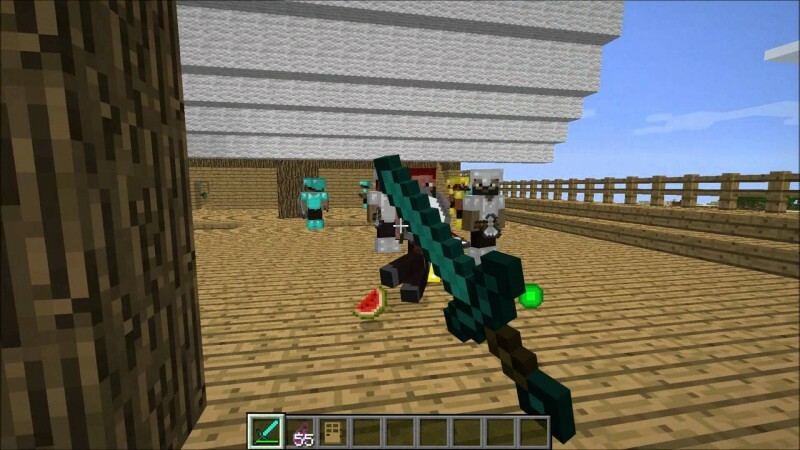 The Better Dungeon mod for Minecraft adds not only more dungeons, but a lot of other surprises you will be happy to discover on your adventures through your world of Minecraft. The Better Dungeons mod offers several new varieties of dungeons, in fact, it adds 7 new dungeon designs to be exact. And every new dungeon comes filled with new intimidating and dangerous mobs. At the deepest depth of each dungeon there is a powerful mob boss that is just waiting for your arrival! If you can defeat them, there are new crafted items and valuable loot to be found. Can you survive the adventures waiting for you in these new dungeons, and can you defeat the monster mob bosses at the dungeons’ core? Only time will tell. Each new dungeon is found in its respective Biome. There are huge beached pirate ship dungeons and some that are floating at sea to be discovered. There are strongholds to siege in the Tiagas and pyramids waiting to be found in the desert regions. The Better Dungeons mod for Minecraft adds greater complexity to the cave systems in the swamps and other Biomes, there you will discover new and dangerous monster mobs just waiting for un-expecting adventurers like yourself.